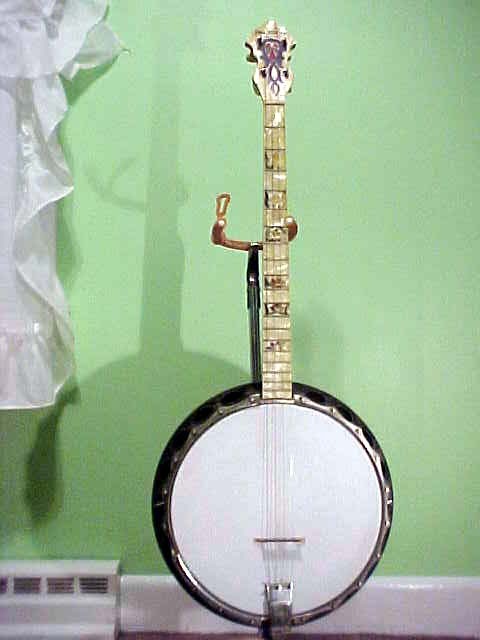 This was the first banjo that I ever owned. I brought this banjo to Maryland Banjo Academy last Spring to see if I could get it dated and some info on the manufacturer and it's worth. 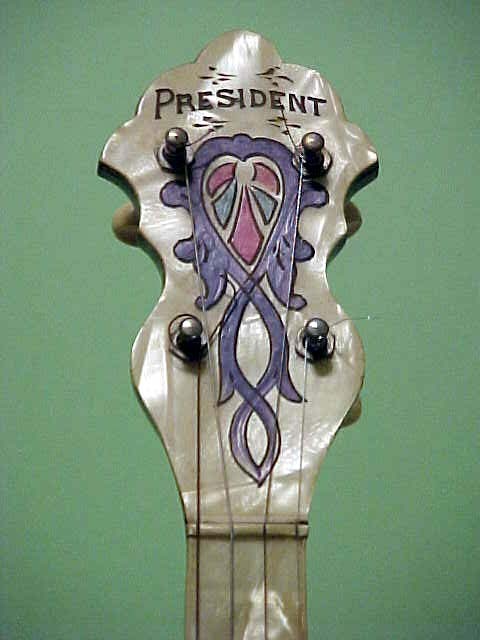 However, Jim Bollman, (Music Emporium) didn't really have too much information for me.If anyone else recognizes this banjo's manufacturer please leave me a message. 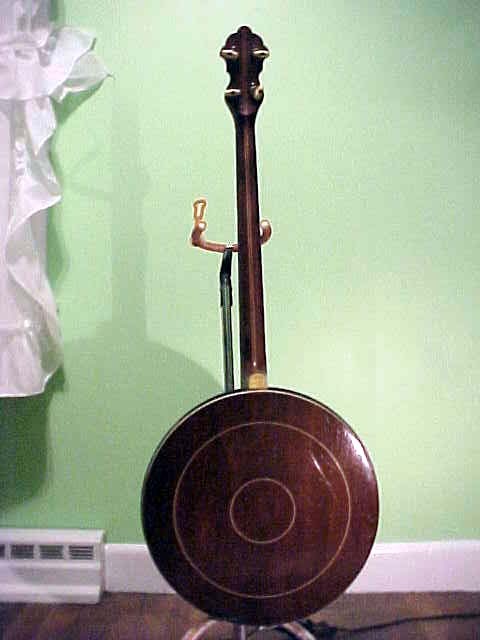 This was really my Dad's banjo. He had bought it at a Flea Market in the late 60's. I think he picked it up for around $25. There was a bunch of his friends that played in a group called "The Entertainers." They consisted of a couple of tenor players, a guy on washtub bass, and a squeeze box and an ocarina player. He wanted to be a part of the band and liked the sound of the banjo, so he bought it. He never did become very good at it and so it sat in the closet until I rescued it in the early 90's.